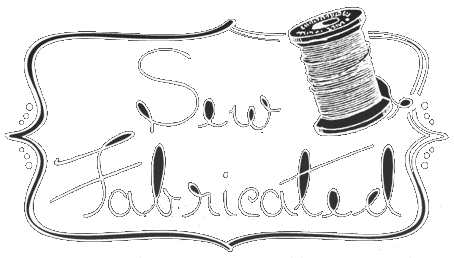 Sew Fabricated is closing! Our Store-wide Closing Sale will begin on Thursday, April 11th at 10:00 a.m.
We will be open regular hours: Tuesday-Friday 10:00 a.m. – 6:00 p.m. and Saturday 10:00 a.m. – 5:00 p.m. through Saturday, April 27th. All items of merchandise will be marked down and liquidated including fabric, pre-cuts, notions, patterns, books, kits, and more. We invite you to stop by and enjoy these awesome savings. Some fixtures, furniture, and equipment will also be offered for sale. Gift certificates will no longer be sold. Current gift cards and customer credit balances will be honored until our last day. Any remaining balances upon closing will be forfeited. Prizes!! For every pre-tax $25 spent at the shop (sorry, not online), customers will receive a ticket for a chance to win from our fabulous prizes valuing a total of $1,000! Just fill out your name and contact information on each ticket earned and give it to a Sew Fab steward before you leave. Tickets for prizes will be drawn at the end of our business day on Saturday, April 27th. Customers need not be present to win. Please note that our regularly scheduled Friday Night Sewcial will not be held this month.